Dimensions: 2 3/8" x 3 1/2" x 1"
There are all kinds of benefits for loving tea. 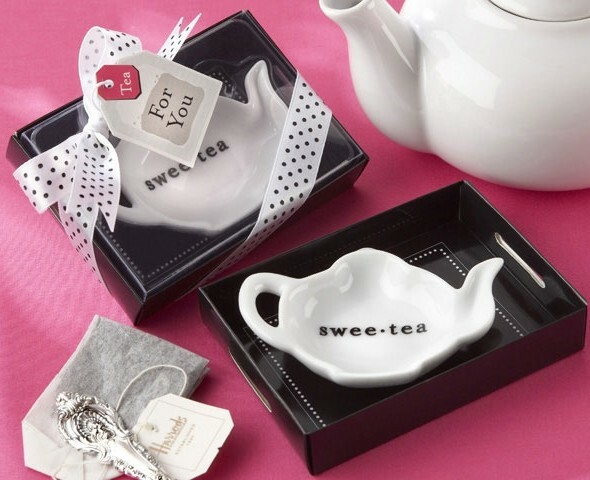 Share these positive extras with all your guests using this ceramic black and white teabag caddie. A stylish way of totally improving your tea time. Personalized tags for your favors are available separately as Product Code: AK-31001NA-03-W.